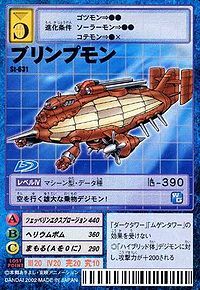 A Vehicle Digimon just like Mechanorimon, it flies in the skies without a care in the world. Although its delicate balloon portion is protected by a metallic coating, it seems to still be under construction as its left flank is left exposed. Its Signature Move is shooting bullets of helium gas and detonating them (Helium Bomb). Its Special Move is firing cannonballs from the two large cannons seated on its top (Zeppelin Explosion). 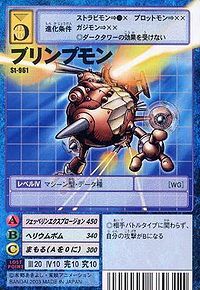 A Vehicle Digimon just like Mechanorimon, it flies in the skies without a care in the world. Although its delicate balloon portion is protected by a metallic coating, it seems to still be under construction as its left flank is left exposed. 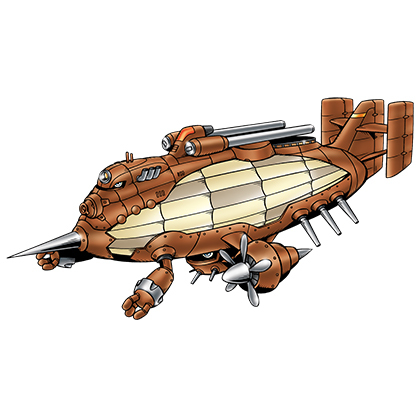 Its Special Move is firing cannonballs from the two large cannons seated on its top (Zeppelin Explosion). | A blimp is a large, floating balloon-like vehicle. Zeppelin Explosion  ツェッペリンエクスプロージョン Tsepperin Ekusupurōjon Fires cannonballs from its topside cannons at the enemy. Helium Bomb  ヘリウムボム Heriumu Bomu Fires and detonates bullets of helium gas. 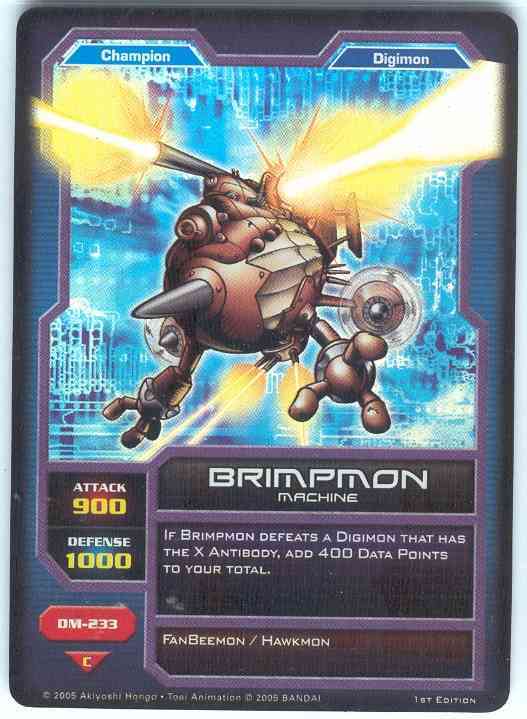 Blimpmon is available as a Digimon Medal. 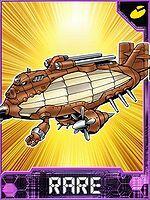 This grand transportation Digimon takes to the skies! This page was last modified on 6 November 2018, at 00:42.